Monster’s newest bridge isn’t just for humans—it’s also for winged creatures of the night. 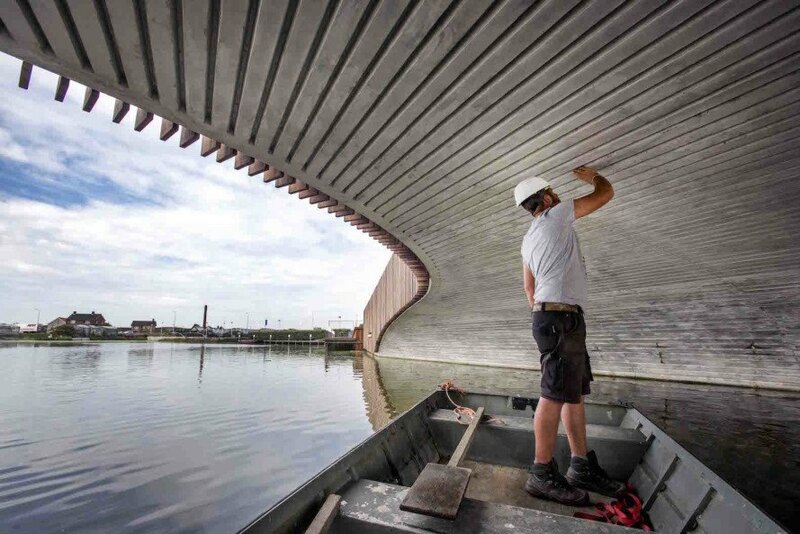 NEXT Architects recently completed the Vlotwateringbrug, a sculptural bat-friendly bridge with underside roosts. The bridge spans a river located along an important wildlife corridor for the Dutch town’s local bat population. 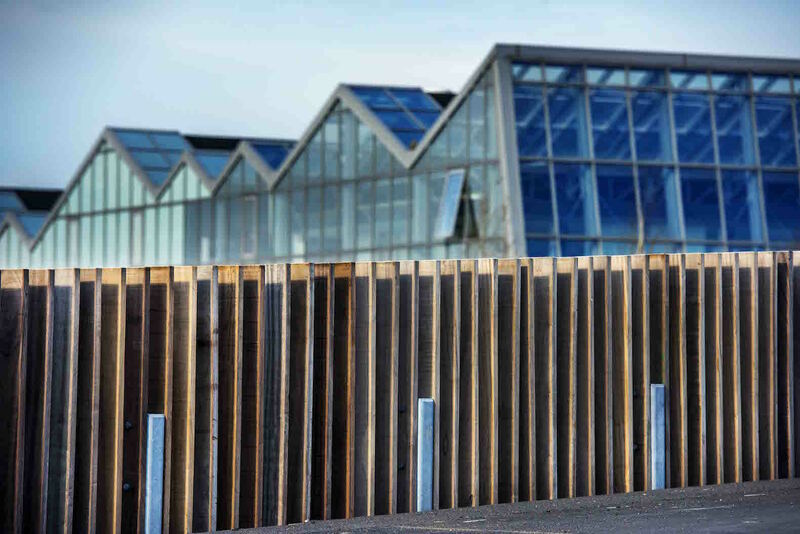 Constructed from concrete and clad in wooden slats and bricks, Monster’s bat bridge winds across the 25-meter gap between the Vlotwatering riverbanks in a curvilinear path conducive for leisurely walks and bicycle trips. NEXT Architects strategically placed the curves in areas that overlook the best landscape views. In addition to its pedestrian and bicycle-friendly design, the bridge offers the ideal habitat for several species of bats with the goal of growing a large colony. The concrete construction retains a high thermal mass for a stable climate, while the underside is outfitted with a pattern of grooves that serve as roosts. The north side accommodates bats in the winter, while the wooden slats and brick balustrades are better suited for summer stays. 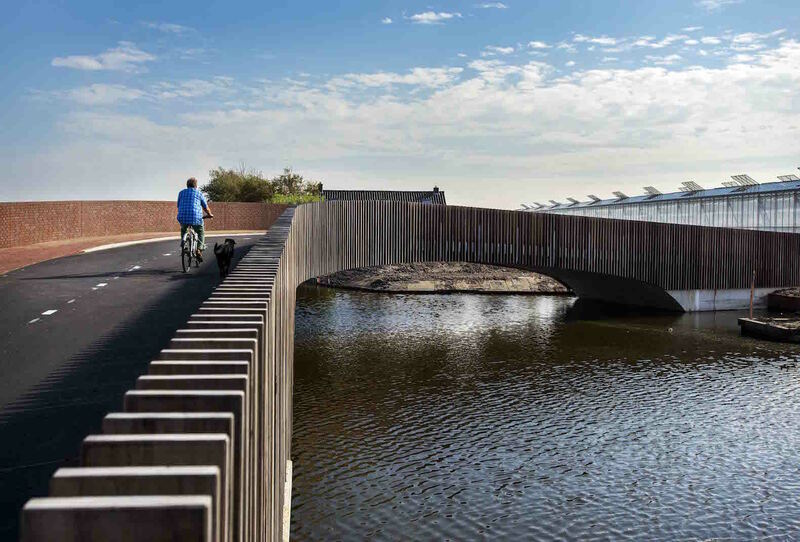 Bat expert Marcel Schillemans from the Mammal Society commended the project as “a textbook example of how a functional object can at the same time serve nature.” The bridge will be complemented by a new green landscape designed by LOLA Landscape Architects. The ecological landscape design will serve recreational purposes and include spawn sites for fish. The bridge is constructed from concrete and clad in wooden slats and bricks. Monster’s bat bridge winds across the 25-meter gap between the Vlotwatering riverbanks in a curvilinear path conducive for leisurely walks and bicycle trips. NEXT Architects strategically placed the curves in areas that overlook the best landscape views. In addition to its pedestrian and bicycle-friendly design, the bridge offers the ideal habitat for several species of bats with the goal of growing a large colony. The north side accommodates bats in the winter, while the wooden slats and brick balustrades are better suited for summer stays. The bridge will be complemented by a new green landscape designed by LOLA Landscape. The ecological landscape design will serve recreational purposes and include spawn sites for fish.